The book begins like other examples of testament literature. Abraham, now at the age of 995 years, is about to die “unexpectedly.” In this case, however, Michael comes down from heaven to Abraham at the command of God. Michael goes to Abraham and finds him at work in his field. Abraham greets him as a stranger, and the two of them walk together “high in spirits” back to Abraham’s house. As they walked, the Lord commanded a cypress tree to cry out praise in a human voice. Abraham did not comment on this, thinking Michael had not hear the praise. They arrive at the house, and Isaac recognizes Michael and falls at his feet in worship. Isaac is blessed with a repetition of the Abrahamic covenant. Abraham washes Michael’s feet and Isaac draws water for him. In chapter 4 Isaac is sent to fix up the guest room for Michael and to prepare the house for a guest. During the meal, Michael rises as if to go out to urinate, but in the “twinkling of an eye” he is in the presence of God. Michael wants to know if he ought to relate the news of Abraham’s death to him, but God says “my holy spirit” will reveal it to Isaac in a vision. The use of “the twinkling of an eye” for an instantaneous transition into heaven is found in 1 Cor 15:51. Michael is to go and pretend to eat the meal with Abraham, which he does. After the meal, Isaac wishes to rest in the same room as his father and Michael, but Abraham sends him to his own room. There he has a vision of Abraham’s death. He returns to the room and weeps for his father. Michael reports that Isaac has had a dream which the family ought to hear. Sarah realizes the man is the Angel of the Lord, remembering him from the visit prior to Isaac’s birth. In chapter 7 Abraham tells Isaac to relate the dream, which he does. His vision of the sun and moon are interpreted for Abraham by Michael as an indication Abraham is about to start his heavenly journey (which of course Michael knew already!) Abraham knows Michael is the Angel of the Lord and refuses to consent to have his soul taken. Hearing this, Michael becomes invisible and is immediately in the presence of the Lord. He once again asks for advice. God tells him to relate to Abraham that he will still keep his promise to make his name great and to ask him why he is resisting. No one escapes death, but God did not send a normal death to kill Abraham. Rather, he sent the Angel of the Lord to collect his soul. Abraham falls to his face and confesses he is a sinner and knows he is mortal. His only request is that he see all the inhabited world before he dies. The Most High grants this request and takes Abraham on a fiery chariot of cherubim so that he might see the whole world. 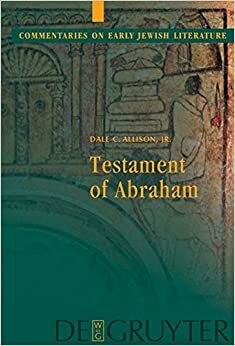 What is the “Testament of Abraham”? E. P. Sanders notes in his introduction to the next three testaments that they all three likely come from Greek-speaking Jewish author living in Egypt in the first or second century A.D. (OTP 1:869). They were, however, thoroughly taken over by Christians and became popular and influential books. Since there are no references to historical events in the books, they are difficult to date with precision. If the work is a translation of a Hebrew original, then it is possible to date the book as early as 200-165 B.C. (N. Turner, “The Testament of Abraham: A Study of the Original Language, Place of Origin, Authorship, and Relevance” (Unpublished PhD Dissertation, University of London, 1953) 242-48). Sanders, however, believes the work was originally Greek, and can be dated no later than A.D. 117 because of the use of this work in the Apocalypse of Peter. Two recensions of the work appear in OTP, opinion is divided as to which is the older. The Judaism of the book is, as Sanders notes, “the lowest common denominator Judaism” (OTP 1:876). This is a very interesting text to read and is one of the better written of the pseudepigraphal texts. It is very much an apocalypse since Abraham is taken on a heavenly tour with Michael as a guide. The final discussions with the personification of death clearly influence medieval thinking about Death (imagery, etc.). While the parallel to 1 Cor. 3 is possible, it seems better to find a reflection of a common thinking about “judgment” behind both Paul and T. Abraham. A more fruitful area of study is the “son of Adam” imagery in chapters 12-13. At the very least, this indicates a variety in the usage of the term “son of man” which may serve as a corrective to over-interpreting the gospel’s “son of man” sayings. 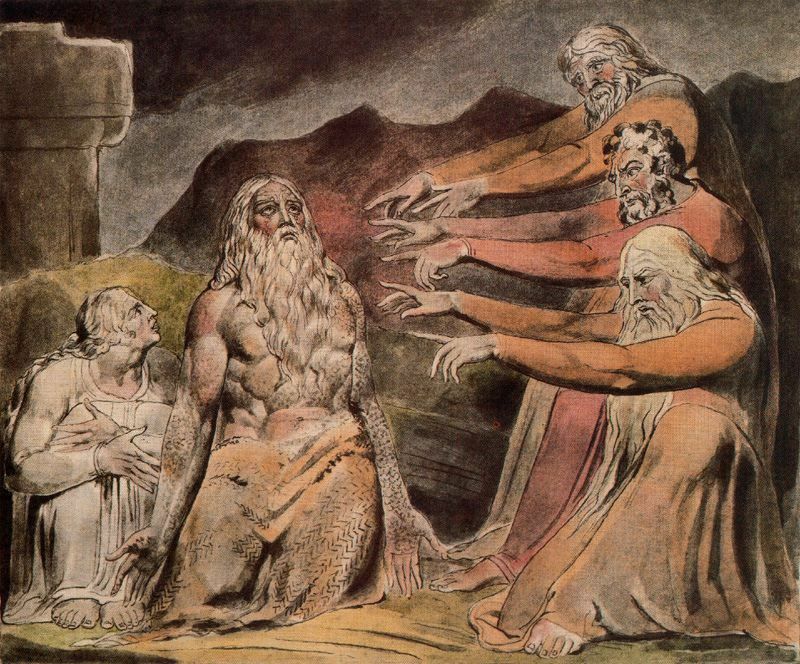 Bibliography: Philip B. Munoa, Four Powers of Heaven: The Interpretation of Daniel 7 in the Testament of Abraham. Journal for the Study of the Pseudepigrapha Supplement Series 28. Sheffield: Sheffield Academic Press, 1998. C. Fishburne, “1 Co. 3:10-15 and the Testament of Abraham” NTS 17 (1970), 109-115.